The old and the new clash this weekend in the first ever meeting between a Super rugby side and a team from World Series Rugby. 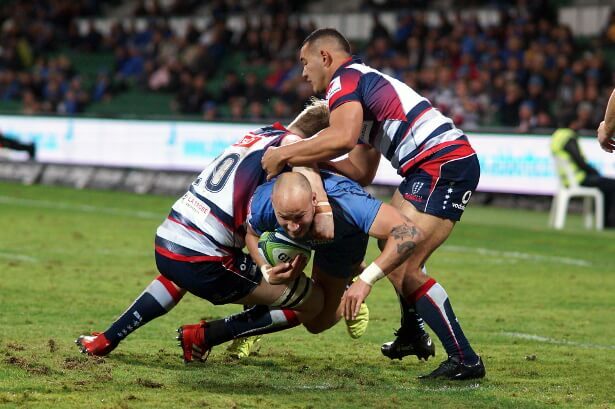 These teams are respectively the Melbourne Rebels and the Western Force, the two sides affected so deeply by the Super Rugby cull events of 2017. It was the Western Force who eventually suffered deepest, cast aside from the Australian conference, with a large number of their players heading East, the lion’s share of these taking up contracts with the Rebels. This included the entire coaching team headed up by David Wessels. 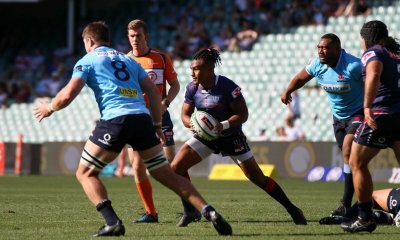 On the back of this influx of players and coaches, the Rebels are enjoying their most successful season ever in Super Rugby, having already matched their previous record for wins in a season (7) with three rounds yet to play. 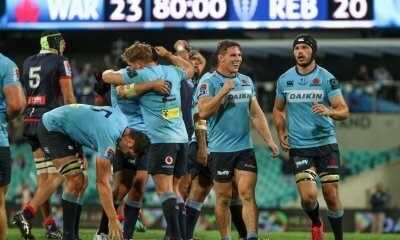 The most recent result, a last start win over the Blues in Auckland, made them the first Australian side since the Waratahs in round 10 2015 to beat a New Zealand franchise in New Zealand. This form has them in with a real chance of topping the Australian conference and making the finals for the first time. 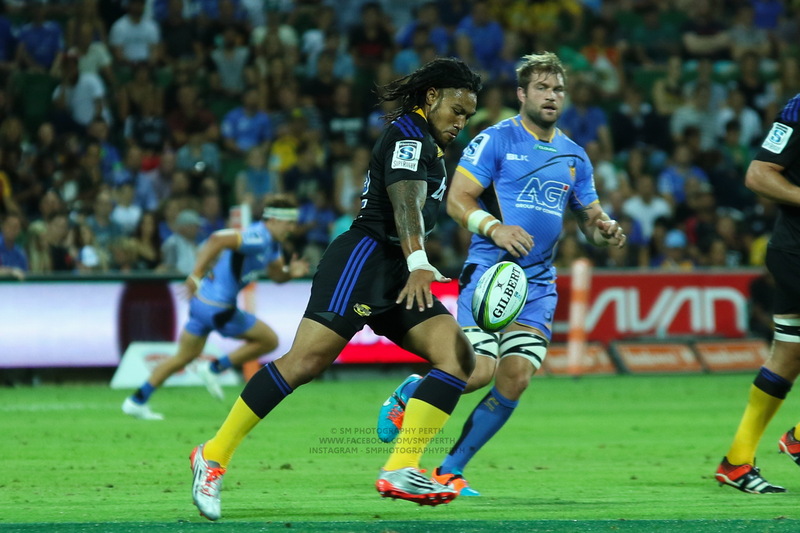 The Western Force too have some form heading into this match, with wins over both the Fiji and Tongan invitational teams in the first two World Series Rugby matches. While these invitational sides were missing a number their key international stars due to their club commitments, they did include enthusiastic youngsters eager to push their claims for a potential world cup squad place later this year. The skill and talent was certainly not lacking and the Force victories were hard fought and well deserved on both occasions. Perhaps the most impressive aspect of these victories was that there was a Force team playing at all, given the amazingly short time in which the squad and the tournament has been put together. This game provides a great opportunity for the young Force squad to test themselves against a proven Super Rugby strength side. Billy Meakes – back by different. The circumstances of this match are certainly unique. This is perhaps highlighted best by the strong possibility (depending on which players are selected) that the Rebels will field more Western Force caps in their match-day squad than the Western Force themselves. I cannot recall a situation where this has ever happened before, in any sport. It will be a strange and somewhat bittersweet experience for many to watch as their former heroes run back onto their once home ground wearing a different strip. Strange too for the players. But once that first whistle sounds, all that strangeness will be replaced by the familiar, hard running and harder hits. Have no doubt that this match will be fiercely contested, despite there being nothing officially on the line. There are a lot of friendships between players on opposing teams and if there is anyone that you try hardest to beat, it is your mates! There are a few intriguing potential match-ups for this game. 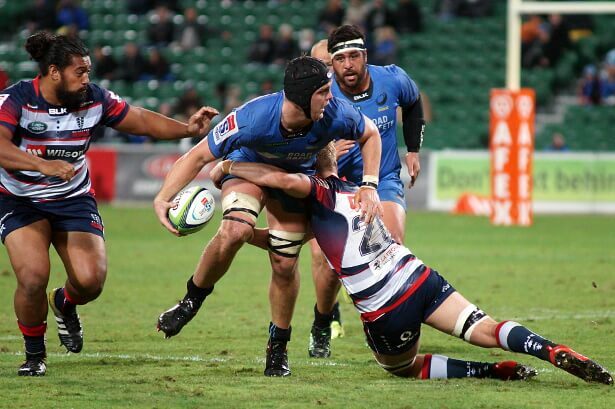 The one that is most tantalising is the battle of the scrum halves with former Force favourite Michael Ruru coming up against current Force captain Ian Prior. Ruru has been finding some excellent form over the last few weeks and on paper should have the better of Prior, but the captain label is sitting very nicely with Prior and he is lifting to the added expectation. Both players control the play quite well from the back of the pack so it will be interesting to see who can have the greatest impact on the game come Saturday.The Rebels strength is likely to be in their forwards, and it will be a good test for the young Force pack to see how they deal with them. The backs are a little unknown as the Rebels will be missing quite a few of their regular starting backs due to Wallabies duties. It may turn out that the Force backline is actually the more settled of the two, though the Rebels will still have the more experienced heads overall. This will be an incredibly important night for Australian rugby. 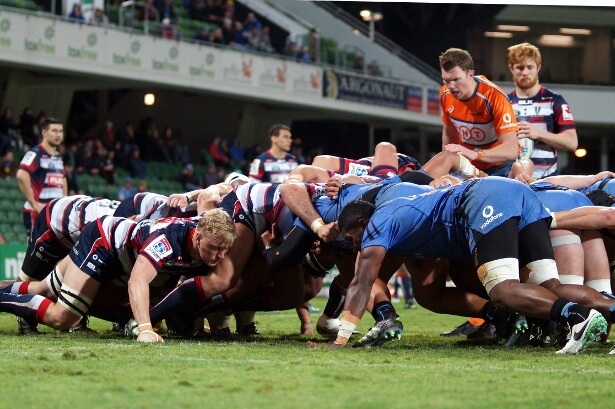 This match will mark the first occasion that Super Rugby meets World Series Rugby. When the game is done, regardless of the final score, there will be a victory for Australian rugby. With this gesture the Force and Rebels have set the foundations for what hopefully will become an enduring rivalry. I am tipping the crowd to get behind the Force and drag them home in a very close one. Force by 3. This Saturday’s match will be LIVE on 7mate (not 7TWO) & Fox Sports. Pretty understrength Rebels side with all the Wallabies gone and some others rested so will be interesting to see how they go up against a Force side who I’m happy to admit I don’t know a lot about. Hopefully it’s just a cracking match, played in the right spirit, and people get around and support it. I think it will be! Geez, making excuses already Huw? Force have only played a couple so it maybe evens out. Interesting to see a comparison finally. Hoping for reasonable weather and a cracking match after watching Aus/Ire on the big screen prior to the game. Haha no excuses! I’ve got no skin in this game other than hoping it’s a good game and people get behind it. Even without their Wallabies that’s a pretty decent looking Rebels side. Still, go the Force! With heavy rain forcasted at a cold night I do not expect a large crowd. I will be there but with a 8pm start forced by the late start of the Irish-Wallaby test many families will just not make it. Do not expect a packed stadium in this weather. I think the crowd will be healthy, the interest in seeing how the ‘New Force’ go against the ‘Old Force’ may be enough to counter the bad weather. Brendan the families stayed home as expected with the late start and cold wet weather. We got almost 14,000, far more than what I expected. It was a healthy crowd but I would have loved to see another sell-out match. I hope for good weather with the Crusader game on 22 June. I called it yesterday, Wessels has picked Goddard and Adams in the halves which is great because we’ll see how they go with some good time under their belt. Goddard from memory played a few games off the bench last year and Adams had about 15 minutes against the blues,had a few touches but it looked like nobody and everybody was playing 10 for the Rebels at that stage so hard to determine if he can control a game. Keep an eye on Kiti Ratu. I remember watching him in the NRC, I think it was the only game Melbourne won. And I hope they refer to him as Nicholas as well, bugger shortening any part of his name! Thanks again Brendan, another great write-up! Hopefully the weather god looks favourably on Perth and gives a fast track for the night. Just a die hard rugby tragic from West of the Nullabor with a penchant for the written word. Happy to talk anyones ear off about anything to do with this great game, as many a poor work colleague has discovered over the years.